San Diego  New construction, a thriving economy, rising construction costs and low vacancy rates have pushed office rental rates ever higher throughout much of San Diego County since 2010, when rates started rebounding from the recession. University Town Center, Sorrento Mesa and Del Mar Heights are among the standouts while North County submarkets lag behind, in part because most of the new construction in North County has been industrial rather than office. Although figures vary among commercial brokerage firms for the size of the change among San Diego’s submarkets, the trend was fairly consistent. University City, in particular has seen a continuing upward trend in office rents as new projects come on line and older ones are renovated. The expansion of Westfield UTC Mall, completed in 2017, along with extension of the San Diego trolley to University City has added upward pressure to rental rates in the submarket. 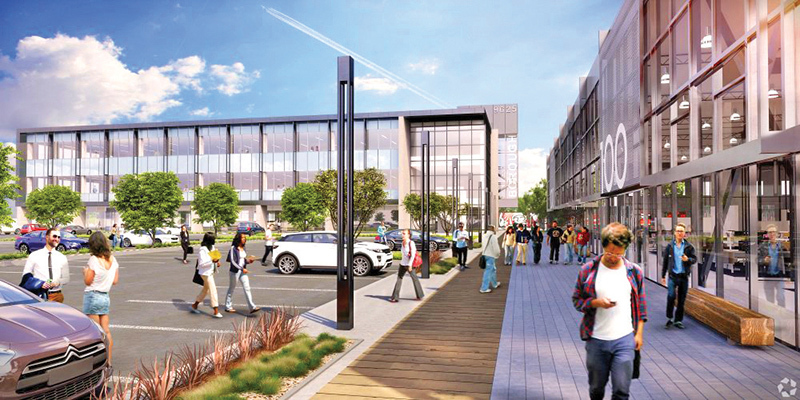 The expanded mall, with high-end retail shops, fitness centers and a plethora of restaurants is seen as its own amenity, making the area especially attractive to companies seeking to recruit and retain skilled high-tech and biotech workers. Construction of the trolley line started in late 2017, with the work projected to take two years. “The future of that is going to make UTC an even more desirable submarket because of the access for employees to public transportation,” said Tim Olson, a managing director of the commercial real estate brokerage firm JLL. Among the new office products to come on line in UTC since 2010 are the 268,000 square-foot i3 building and the 96,435 square-foot Eastgate Terrace in 2017, The Campus on Via La Jolla at 14,750 square feet and the 63,129 square-foot Eastgate Summit in 2016, the 306,700 square-foot One La Jolla Center and the 414,575 square-foot La Jolla Commons II in 2015, and the 302,262 square-foot La Jolla Commons I in 2008. Carlson said the Irvine Company, which he said owns about 70 percent of the commercial office property in UTC, recently increased rents it charges by 15 cents a square feet across the board in high-rise, mid-level and low-rise office buildings.